In the swanky world of lambic, brewers like Cantillon and Drie Fonteinen seem to get the grand majority of attention, but fine folks over at De Cam put out some decent stuff as well. Alas, I think this particular beer fell victim to one of my pet peeves: carbonation. Namely, this has very little in the way of carbonation, and while it has that very promising 3 years in a barrel, the unblended nature means that it doesn't quite live up to the expectations set by the likes of Cantillon and Drie Fonteinen. Of course, both of those breweries have janky uncarbonated and unblended versions of their beer too, so perhaps I shouldn't be too judgmental here, but this was still a bit of a disappointment for me. Beer Nerd Details: 5% ABV bottled (750 ml caged and corked). 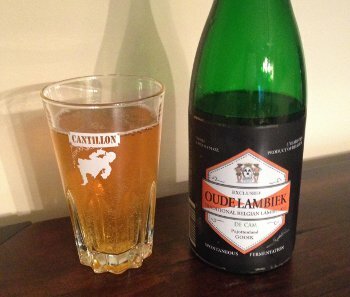 Drank out of a Cantillon lambic glass on 6/28/14. Beer Nerd Details: 8.5% ABV bottled (750 ml caged and corked). Drank out of a flute on 6/27/14. 2014 vintage. Batch Number: SB14058-1. Best By Date: 02-2016. It's always nice to tick that long unticked box, and it's nice to see what all the fuss is about. 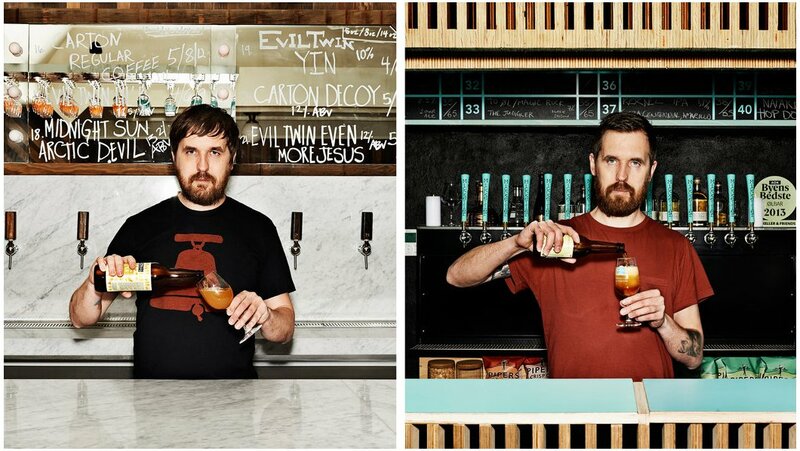 Like any good craft brewery, the fine folks at Tired Hands like to collaborate. These often show up at the brewpub (and presumably at the collaborator's brewery), but a couple of recent instances involved Jean traveling to Europe and working with various kindred spirits to produce some stuff that would be bottled and then imported. I've totally been slacking on these, so I figured it was time to catch up with them. 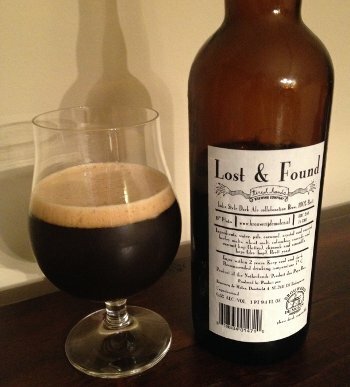 Beer Nerd Details: 6.6% ABV bottled (750 ml caged and corked). Drank out of a tulip glass on 6/20/14. Bottled 27 Nov 2013 (I think that's the bottling date). Both are imported by Shelton Brothers, so they should be out and about. 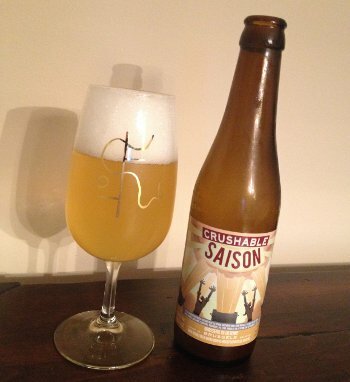 Of the two, I'd recommend Crushable Saison much more, as it's more representative of their style... and cheaper too! 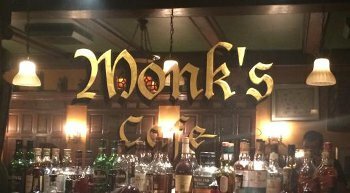 That being said, if you are ever in the Philly area, it's worth making the detour out to Ardmore to visit the brewpub (but given my general enthusiasm for Tired Hands on this here blog, I probably don't need to tell you that). If you've been following along, and you should be, you'd know that the tiny San Francisco brewery Almanac has been doing this local Farm to Barrel thing for quite some time now, incorporating uber-fresh locally sourced fruits and produce into their barrel aged sours. They've steadily been picking up steam and many an admirer - including me, even though I'm about 3000 miles away. 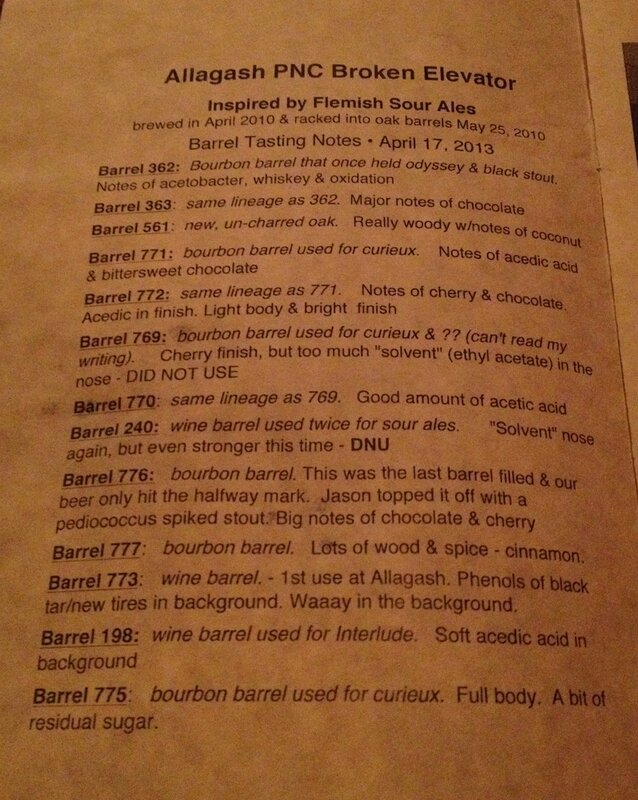 Beer Nerd Details: 7% ABV bottled (375 ml capped). Drank out of a flute on 6/14/14. Batch FR-P. Bottled 031414. This is my favorite Almanac beer yet, not that I've managed to wrangle that many of them. I am, however, fortunate enough to have another waiting in the wings, so you'll be hearing more about Almanac soon enough. Indeed, I've been on something of a sour jag of late, a consequence more of availability than anything else, but I ain't complaining. Bon-Chien is French for "Good Dog". Naturally, it refers to... a cat? It turns out that Bon-Chien was Brasserie des Franches-Montagnes (BFM) first cat, and to honor its passing, they attributed three miracles to her, conferred saintly status, and brewed this beer. Rather oddly, they claim primary fermentation is achieved via wine yeast. Then they aged it in a variety of barrels, where the juice picks up the various souring bugs and funky yeasts. Over the years, these barrels have ranged from Grappa, Pinot Noir, Merlot, Bourbon, and Scotch, to Champagne or obscure barrels previously used for stuff that even the internets don't seem to know about (anyone know what Kumasamasansa is?) 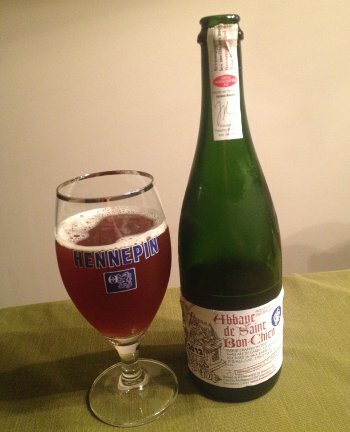 The standard Abbaye De Saint Bon-Chien is a blend of all the barrels used in a given year (usually only a few different types), but the individual barrel beers are also released with the Grand Cru designation (remember: Grand Cru means almost nothing in the world of beer). 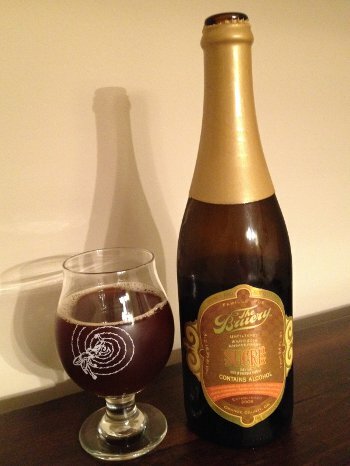 Beer Nerd Details: 11% ABV bottled (750 ml) Drank out of a goblet on 6/13/14. Vintage 2012. Blend 5. The label sez "Recommended with fine food!" so I paired this with a pepperoni pocket pie. Not my brightest move, but hey, it actually kinda worked. Though I will say that, like a lot of darker sours like this, it actually matches very well with good dark chocolate. Also, if I can afford another bottle of this, I may actually try it with their recommended pairing of pan seared duck breast deglazed with Modena balsamic vinegar. But then, that sounds like a lot of work (for both me and my wallet). There's an old saying in the wine world: "There are no great wines, only great bottles of wine." Once a wine is put into a bottle, there are any number of things that could influence the taste when the bottle is opened. How old is the bottle? Where was it stored? What was the temperature? Did you have it shipped during the summer? What kind of light exposure is there? Even if you assume all that was fine, there are also cases of cork taint and other such unlikely occurrences. There's natural variation in bottles, and no one even pretends that different vintages are supposed to produce the same result. There's a million things that could lead to a bottle being great or a total bust, and that's before you start talking about subjective matters of taste and context. If this sounds a little naive, that's because I don't know that much about wine. But I do know beer, and I know that the same thing applies here (as well as with other tipples, like whiskey). Many of the same caveats apply, some even moreso than in wine (for instance, because of compounds in hops, beer tends to be more susceptible to light than wine). 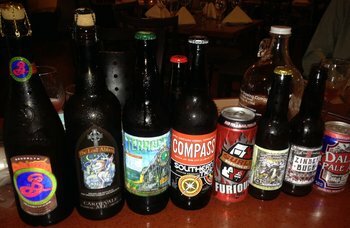 Bottle conditioned beers can change significantly over time. Funky beers with Brettanomyces and other critters are wildly unpredictable (we could get into the whole consistency debate, but I'll have to save that for my next Fantôme review...) Highly hopped beers can taste differently from week to week, even if they're stored properly. Read about hops, and you can see that crops change significantly from year to year (and I'm not just talking about yield here, things like Alpha Acids and oils that drive aroma can vary from year to year). This sort of pedantry can manifest in annoying, stupid ways, such as the continual insistence that this year's batch of Pliny the Younger/Hopslam/Black Tuesday/whatever is not as good as last year. They often aren't identical, to be sure, but such utterances seem driven more by hype or rarity or ego than anything more reliable. Likewise, I often see some folks who finally land that white whale beer, only to find that they don't care that much for it and wonder Did I get a bad bottle? Because surely a bunch of strangers on the internet couldn't be wrong, right? But every once in a while, you will run across a genuine bad bottle. A "sick" bottle of Fantôme, an old IPA that was sitting in sunlight, or maybe a beer that has some off flavors (metallic or tinny beer, soy sauce stouts, overwhelming diacetyl, etc...) Some of this may be poor QA on the brewery's part, others might be a problem with shipping or storage. It's tempting to hold a grudge against a brewery or a particular beer if you've had one bad experience with them, and it doesn't help that we are so awash in great beer from all over right now because why try a beer you didn't like before again when you can just grab something new? 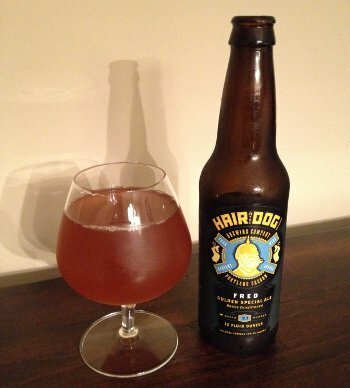 All of which is to say that I had an issue with this Hair of the Dog beer. I was wary from the moment I opened the beer to a practically nonexistent puff of carbon dioxide. When the pour produced absolutely no head whatsoever, I knew I was going to have a problem. I'm perhaps more sensitive to carbonation issues than most folks, and to be honest, I've been wrong about low carb levels before. However, in looking at other reviews of this, it seems that most reviews mention "ample" or "above average" carbonation levels. I got what I felt was a flat beer. So... bad bottle? Beer Nerd Details: 10% ABV bottled (12 oz). 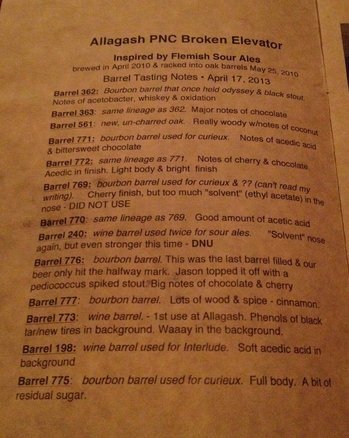 Drank out of a snifter on 6/13/14. Batch 93. 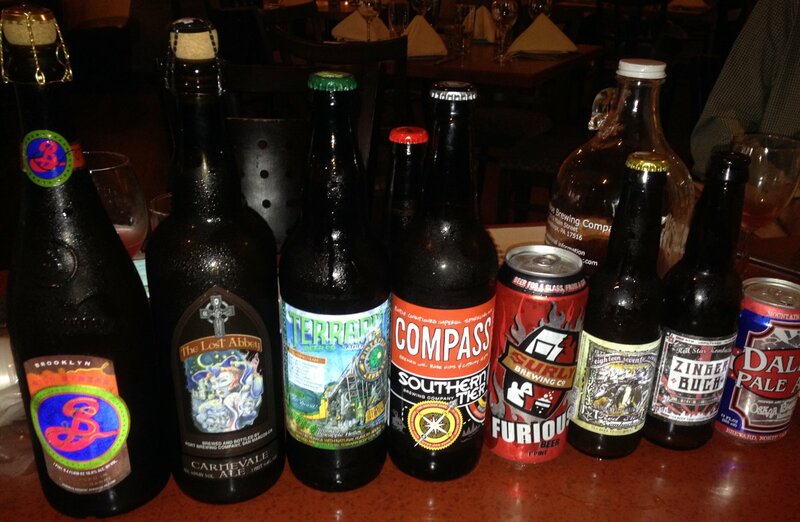 Tonight was beer club! For the uninitiated, beer club is a gathering of beer-minded individuals from my workplace who get together once a month for beer and revelry at a local BYOB. This time around, we returned to an Indian/Thai restaurant and despite a medium turnout, had much in the way of fun. Red Star Zingerbuch Kombucha - So the first beer of the night... was not beer! This is some sort of bizarre fermented tea concoction with ginger and hibiscus. It was very aromatic, flowery, and ginger aley. It was not exactly my bag, but this is the perfect setting for weird crap like this. No rating because I don't even really know what this is. Surly Furious - Ah, now this is an IPA! Surly does not distribute to PA... except during Philly Beer Week. One of our attendees tonight was fortunate enough to attend a Surly event and snag a few cans, and generous enough to share with the rest of us. I've heard so many great things about Surly that I was afraid they wouldn't live up to the hype, but this is indeed a really fantastic IPA. Citrus and lots of pine and resinous hops, but exceedingly well balanced stuff, lots of hops and enough crystal malts that it didn't feel super bitter despite being 99 IBU. Probably the best beer of the night. I'll leave it at A- territory for now, but I definitely want to get some more of this (it could warrant an upgrade). And that is all for now. We will probably return to regular blogging next week, so stay tuned. Beer Nerd Details: 8.1% ABV on tap. Drank out of a wine glass on 6/7/14. Beer Nerd Details: 8% ABV on tap. Drank out of a wine glass on 6/7/14. Beer Nerd Details: 8.5% ABV on tap. Drank out of a wine glass on 6/7/14. 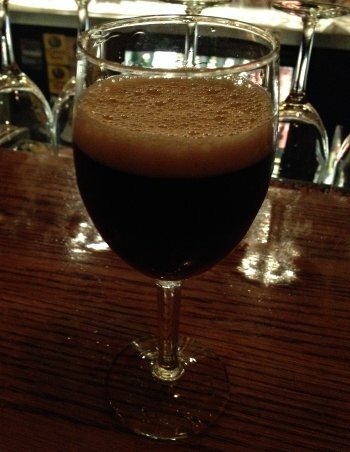 De Molen Rook & Leer - The weirdest, most unique beer of the night, I've never had anything like this before. So get this, we've got an Imperial Smoked Porter base that was aged in whiskey barrels with brettanomyces and Rodenbach yeast. Oh, and it clocks in at 11.5% ABV. Um, yeah, ok. The more amazing thing: It actually works. Neither the smoke nor the sourness dominates, leading to an extremely complex beer. Usually high ABV sours don't work so well for me, but this one is just very well balanced. It's certainly odd, and I think the fact that this was originally brewed in 2011 has helped the flavors mesh together (and perhaps even mellow out some). It's a weird beer to rate, but I'll give it a A-, but maybe I was a bit far gone at this point. Beer Nerd Details: 11.5% ABV on tap. Drank out of a wine glass on 6/7/14. By this time, I was doing pretty well, so I slowed down a bit, got a table with some friends and ate some dinner. I did have a glass of Pliny the Elder, which was great as always, though I'm starting to see where the contrarians are coming. Naturally, I had some mussels, and as usual, they were fantastic. We also got a plate of Frog's Legs, which were basically a lot like chicken wings (I've had Frog's Legs before, but never like this). Firestone Walker Helldorado - So you know how Firestone does that Anniversary blend where they invite a bunch of local winemakers to their brewery and set them loose on a bunch of barrel aged beers? Many of the component brews are available in bottled form, but most seem to be relative rarities, and Helldorado is one of those. I was shocked to see it at this event and immediately got myself a glass of the stuff. Alas, this is perhaps not my favorite style. 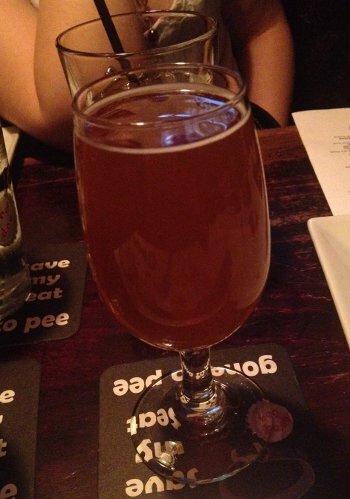 It's described as Blonde Barleywine brewed with Honey, and boy can you really tell. It's extremely sticky sweet, with that honey coming through strong. It's supposed to be brewed with El Dorado hops, but I get almost no hop character out of this, so I'm guessing it was a light touch (or just used to balance out that intense sweetness). 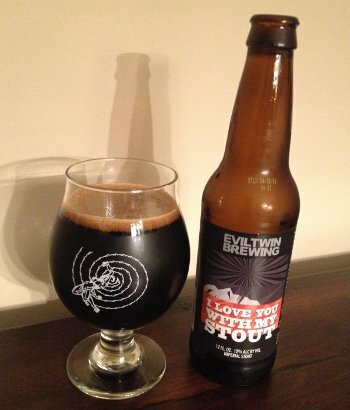 It's definitely a big, boozy bomb of a beer, and it's got a full body. However, something about the way light colored beers react in bourbon barrels is just not as exciting to me as when you get a darker base beer (the picture above makes Helldorado look darker than it was, though it wasn't super pale either). I mean, it's good, I'm really happy I got to try it, and everyone else who had it seemed to love it, so maybe this is just me, but I'll leave it at a B+ and go from there. Beer Nerd Details: 12% ABV on tap. Drank out of a wine glass on 6/7/14. 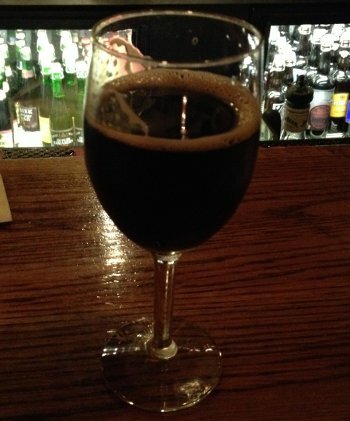 Firestone Walker Lil' Opal - Now this, on the other hand, was way better than I was expecting. 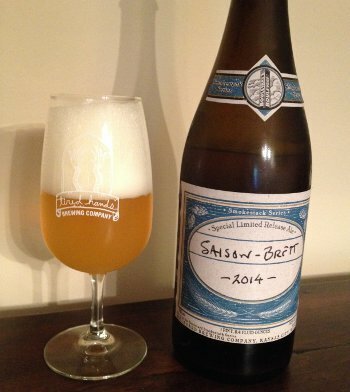 It's a toned down ("lil'") saison that's been aged in barrels with Brett and blended with various vintages, and it's fantastic. Granted, this is right up my alley, but I really loved this beer, a great funky saison, fruity, earthy, spicy, almost quaffable (even at this point in the night). It was a refreshing beer to have right after Helldorado, and it totally stood up to those intense flavors as well. Obviously, I was a little far gone at this point, so I'll conservatively rate it an A-, but I need to find me some more of this someday. Beer Nerd Details: 5.9% ABV on tap. Drank out of a wine glass on 6/7/14. Firestone Walker Agrestic Ale - Firestone has always been known for barrel fermenting and barrel aging, but they always stuck to non-wild styles, and they apparently greatly feared infections and the like. But when they opened up a completely separate facility, that allowed them to play with all sorts of sour bugs, and we're starting to get the fruits of that labor now (Lil' Opal also came out of that program). 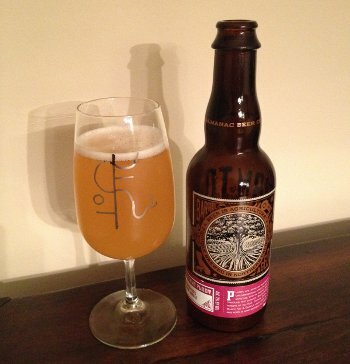 This was a really nice, light bodied sour, it reminded me a little of brighter Crooked Stave Origins. Again, I was a little far gone at this point in the night, but I really enjoyed this. I'll give it a B+, but I'd really like to try it again sometime. Beer Nerd Details: 7% ABV on tap. Drank out of a wine glass on 6/7/14.